Allen Vandever - The Destroyer Is he a monster or a modern day visionary? Allen Vandever has been called both. He’s six-foot-three, bald, hulking figure who wields an ax and is not afraid to use it. He’s been spotted around town with an evil grin while hacking art work into tiny pieces. “ I seek to inspire the idea of renewal through regeneration. I seek to be reptilian: primitive and cold-blooded like the snake. I seek the creation of something distinctly new through the destruction of the old, for often times such objects have a way of stifling our minds and creative energies." Vandever is the brainchild behind Rescue or Destroy, Chicago’s latest art happening, which has been shaking up art lovers this past month at Gallery Bar in River North. 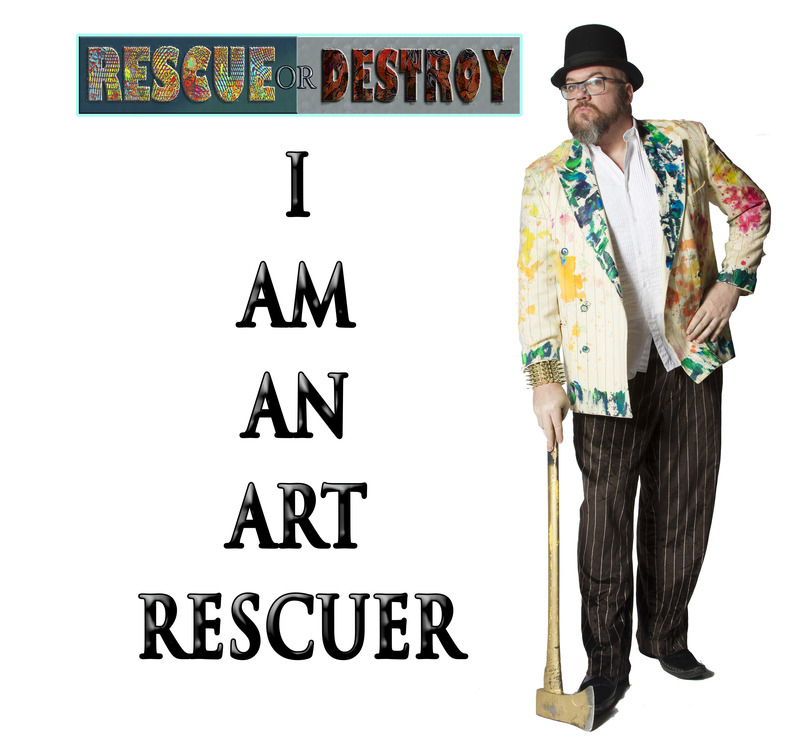 Rescue or Destroy is a bi-weekly art tournament featuring 16 Chicago-based artists. Each artist brings a piece to the competition and the audience decides which will be rescued and which will be destroyed. The “rescued” work goes forward in the and the piece slated for destruction could face the chopping block. However, anything could happen and always does. Rescue or Destroy returns to Gallery Bar on Thursday, April 3rd featuring Abdel Morched and Jim Riggs and a slew of guest artists. The show starts at 8:00. Do your part to support the arts. Show up and vote. Save art from the ax. Vandever has no mercy.